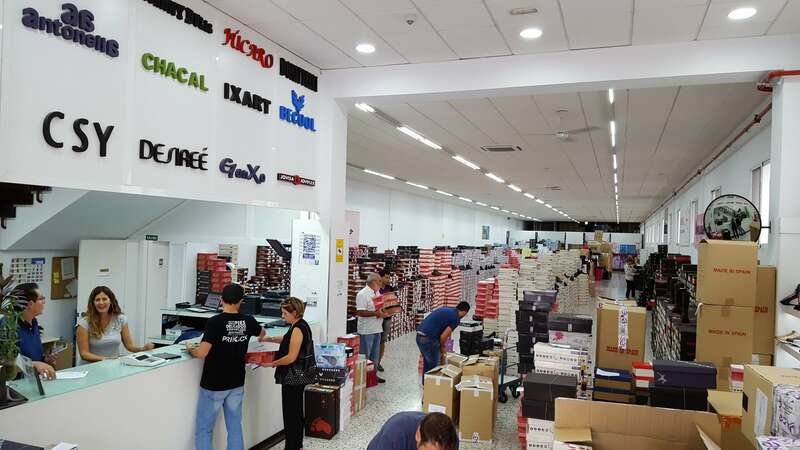 Made in Spain wholesale footwear warehouse. Our trade relationship with footwear firstly began in the 70’s with the opening of a leather footwear factory. Our first distribution depot was established in the 80’s. Now we offer over 4,500 sq. ft distributed into two warehouses in Elche, a Spanish city with great shoemaking tradition. We are exclusive distributors of Comodo Sport, Mayfran, Desireé, Abril, Be cool, Ixart, Marttely Design, Chacal, Jhonny bulls, Cys, Milto, Ganxo, Avarca menorquina… We have over 60 suppliers and besides we manufacture ourselves. To give our customers the best value for money in national manufacturing, mainly using leather, and respecting the environment and the EC Regulations. We have our own production line and a selected group of suppliers to meet the needs of our customers as far as fashion, quality and service are concerned. One of our greatest advantages is our speed and flexibility in adjusting tochanging fashion trends.